The book also has several other contributors that are well known in the System Center Service Manager community. 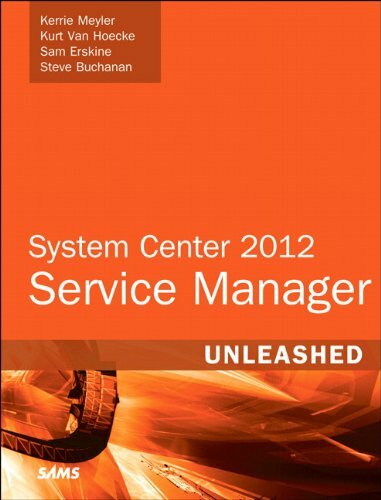 System Center 2012 Service Manager Unleashed provides an in-depth reference to Microsoft System Center 2012 Service Manager. It pairs technical information about this system with information on other products and technologies on which System Center Server Manager’s features and components depend. The content uses an end-to-end feature implementation perspective, facilitating more optimized deployments by covering related topics in a stepwise order for a given feature area. This book begins with an overview, moves into planning, design and implementation, and then covers the most important and significant feature sets of the product. System Center administrators and analysts worldwide will find this book an interesting and complete guide. You are currently browsing the archives for the Service Manager category.